There has been a significant increase over the past five years in the amount of corporate sponsorship and participation in mainstream Pride festivals. At my local pride event in Denver, I’ve seen everything from AMC Theatres to Walgreens and Walmart adopt rainbow versions of their logos, all done in the name of “LGBTQ+ Support.” But how many of these corporations are simply tapping into the pink dollar versus truly showing support for gay, bisexual, lesbian, transgender and queer people in our community? It’s one thing to have a rainbow logo and a presence at Pridefest, but if it wasn’t for their company presence at the festival, I might not believe or even notice that those corporations would even bother with the LGBTQ+ community. 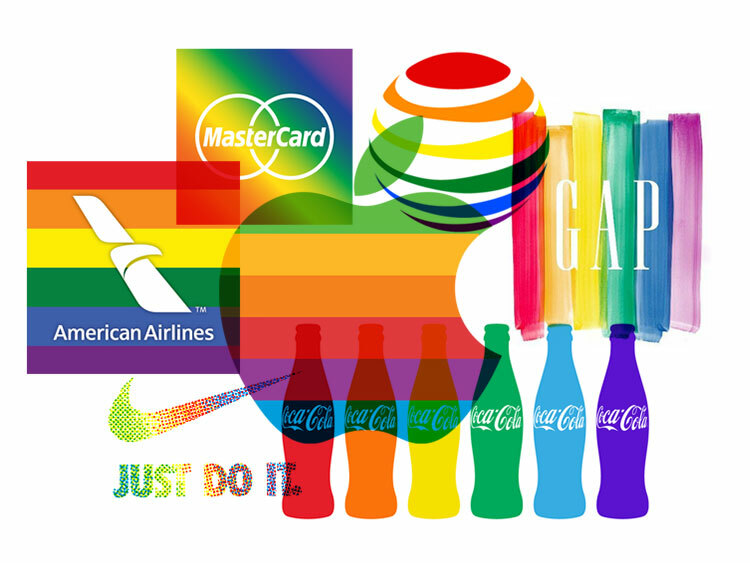 However, with gay and lesbian people having some of the highest levels of disposable income in the country, it is no shocker that these companies suddenly see rainbow colored dollar signs. They see it as economically convenient to spend $500 for a booth at pride in the name of LGBTQ+ equality while beyond the festival itself, they conduct business as usual. On the other hand, there are a small handful of corporations that have made a more significant effort to show that their support for the LGBTQ+ community isn’t just about increasing sales and business. Nike, for example has shown to be a very LGBTQ+ friendly and supportive company. Not only did they release the #BeTrue line but also became one of the first sponsors of an openly transgender national team athlete. Nike also hosts workshops and conferences for LGBTQ+ youth and student athletes as well as supports LGBTQ+ charities and organizations fighting for human rights. Sometimes companies will show their support in ways we may not even recognize. When Greg Louganis came out of the closet in the mid-90s, it caused a major stir that led all his sponsors to immediately drop him with the exception of Speedo. Speedo chose to continue its sponsorship of Greg despite the homophobia and fear-based rhetoric because of his HIV status. Throughout all Greg’s struggles Speedo supported him, and by extension they also supported the gay community when everybody else was turning away. That kind of support means more to me as a gay man and a swimmer than a rainbow logo at my local and increasingly commercialized pride festival.